One of the highlights of the Whitman Philadelphia Expo was Stack’s Bowers’ auction of the John J. Ford Jr. Collection. 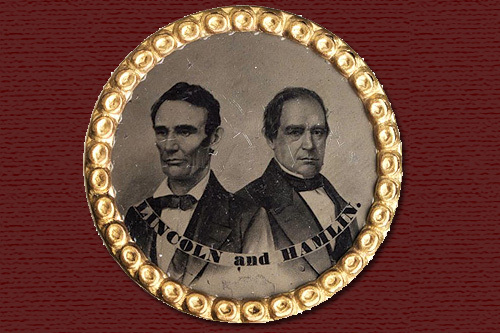 This prized collection of U.S. political memorabilia consisted of more than 2,000 political items, including unusual ferrotypes of Abraham Lincoln. The heart of the collection involves small medals and tokens of candidates from 1824-1864, between the presidencies of Andrew Jackson and Lincoln. People wore them as stick pins or hung them from ribbons around their neck. Read more at MSN News. ← View All Lots and Bid Online Today!